The image may be of a Jesse W. James, but assuredly 100% NOT of Jesse Woodson James, America’s iconic outlaw. Additionally, no provenance appears related to the images to support the claim. When images are submitted to the James Preservation Trust for possible authentication, prior to anything being done a visual assessment is made of the subject image. Comparisons with the known and authenticated images of the outlaw are assessed. The image also is visually assessed against multiple archives of images of James family members. 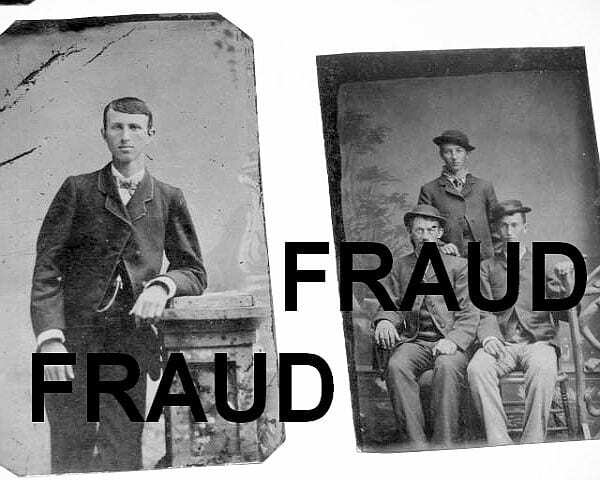 If the image does not appear to resemble the archival known images, the submitter of the image is advised not to waste the cost of proceeding with a costly formal forensic analysis. Even if the submitter may wish to proceed anyway, the Trust will decline to do so, in essence deeming further effort a waste of time. Regarding the images here, my advice would be to not risk the cost. One certainty is this. 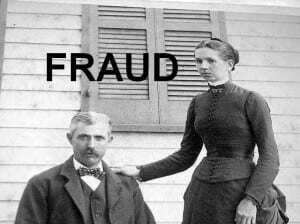 There always will be more claimed or fake Jesse James images yet to appear, than there are authentic and true images of the outlaw that exist. Following considerable adverse criticism of the collector’s claims, the collector responded in a way typical of the behavior of countless con men in both the near and distant past. The collector did not address intelligently and coherently any issues of provenance, nor offer any evidence to substantiate his claim. Instead, the collector responded, lacerating his critics, calling them names, and in the most infantile fashion denigrating them by parodying their names. The collector later attacked his critics also of the True West site in their social media. Such is not the behavior of an average, bone fide collector. Aficionados of the Civil War and Old West well recognize the physical personages of history. If an image holds a possibility of being authentic, calls are made publicly for forensic analysis to be conducted. For the most part, countless claimed images are promptly dismissed publicly as untrue. 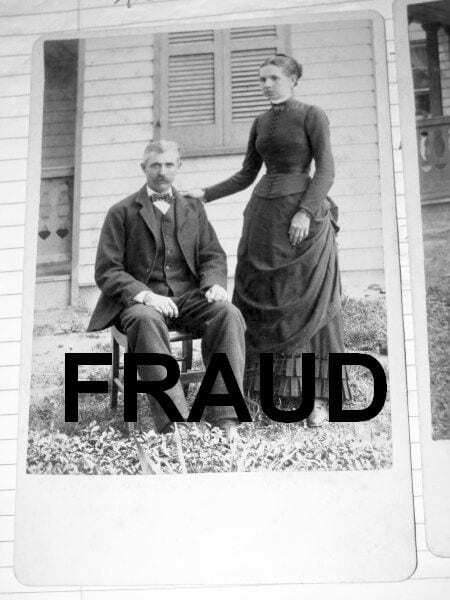 A dead giveaway that the claimed image in this situation is not Frank James is the simple historical fact that Frank James has never been known to have a head full of gray hair when he was the age of the man in the photo. Frank James was bald by that time of life. Plus the facial features, spacing, and relationships in the claimed image differentiates wildly from known images of Alexander Franklin James. No authentic image of either Jesse Woodson James or the Younger Brothers would come close to favoring these. Con men arrive with their claims, always pumping their frauds together with their own bad behavior.